This is a book that can be read for pure pleasure and contemplation and also as a launching point for deeper queries about the creative matrix of human frailty and strength: from any angle, though, these stories demand respect, and each concludes with a real inward bow to what had been so generously shared. The collection presents a unique depiction of universal themes of love and loss; of the search for meaning in pain; for the need to expand our definition—and experience—of love beyond personal fulfillment and to view transcendence not as something esoteric and extraordinary but as an organic process emanating from our acceptance of inevitable change and growth. Each story encapsulates a moment of decision of a sort we all face in the varying circumstances of our lives: we are always being asked to advance or retreat; to try harder or surrender to what is; to live in the moment or plan feverishly for a future we can’t envision; to love or leave; to live or die. One can read any story in this collection and find, to paraphrase poet William Stafford, “the thread you never let go of”, the thread that connects us to each crisis and theme presented such that the reader becomes listener and witness as the narrative unfolds. In the opening story, “Indignity” a middle-aged Polish widow who has immigrated to the United States in hopes of a fresh start finds herself the resentful caregiver of an elderly, wealthy American woman. In the course of facing both her past and her fears about the future, her anger and frustration give way to a compassionate clarity about the shared nature of human vulnerability. 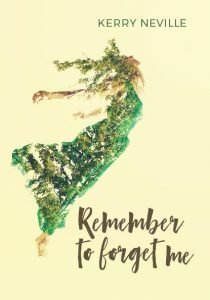 In the title story, “Remember to Forget Me,” a long married and devoted husband, facing the slow loss of his wife to dementia and institutional care, learns deep lessons about loving beyond boundaries of time and memory. In “Survival of the Fittest,” a middle-aged woman struggles to make a decision about her marriage while trying to deal with the problems of a troubled teenage daughter. She carries on an inner dialogue mired in guilt and fear with odd glimmerings of hope sprinkled throughout. In “Home Funeral,” a couple faced with both an “empty nest” and the loss of the longtime family pet, struggles to make peace with grief and find a hope for new life with the burial of the old. In “The Assassin of Bucharest” a young father faces life alone with his son after his wife’s death with all of the uncertainties of single parenthood mired in the darkness and confusion of grief. These are stories grounded in a poignant earthy reality both compelling and comforting. In each, relatable, familiar events are told with vivid directness, and the characters feel knowable—we know these people and we’ve all lived or witnessed these stories in ourselves and those we love. The collection works seamlessly, each story standing alone as a lived reality, and the narratives about them told as “folk art” as friends do gathered by a fire or over an intimate dinner—stories we tell when we become willing to allow ourselves to know and be known, and for that purpose, this collection of stories is a beautiful offering of the potential healing and wholeness always found in even our most painful experiences. Michelle Wilbert is a writer, spiritual director, retired midwife, writing and spiritual retreat facilitator focused on the intersection of spirituality, the arts and nature. She is an avid “poemcatcher” finding, reading and sharing poetry and thought from wisdom traditions ancient and modern in various online and print media and is a regular book reviewer for The Englewood Review of Books and MomEggReview. She is also a music programmer at Crazy Wisdom Bookstore and Tearoom in Ann Arbor, Michigan and Inner Ring House Concerts in Ferndale, Michigan. She shares a beautifully handcrafted life with her lovely husband of 27 years and four delightful young adult children.